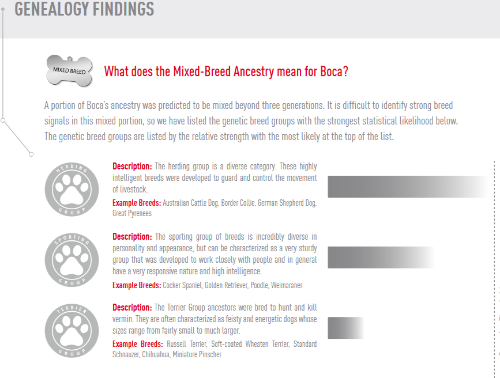 As predicted, Boca's Royal Canin Genetic Health Analysis results came back as largely mixed. Potcakes are indigenous to the islands of the Caribbean and may be generation upon generation of various mixed breeds along with the introduction of DNA from purebred pet animals that are allowed to roam. 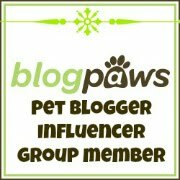 According to the provided test results, Boca has representation from the Herding, Sporting and Terrier groups. I submit that Boca is a Certified Couch Potato! 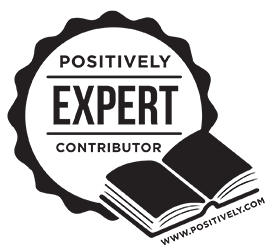 After receiving our results I had a wonderful conversation with a veterinarian from Royal Canin, who just happened to have the greatest name. 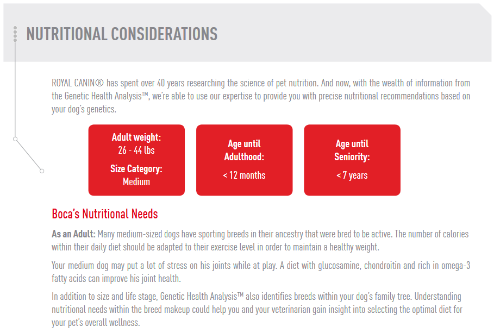 Dr. Sprinkle provided us with some targeted nutritional recommendations based on Boca's Genetic Health Analysis, in order to optimize her diet for needs specific to her size and breed groups. The predicted weight from Boca's results is right on the money - she between 33 and 34 pounds (although at our wellness check last week our vet suggested that Boca go on a little diet). 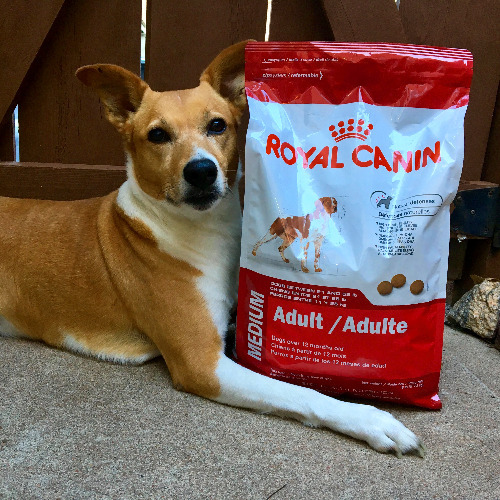 Dr. Sprinkle recommended the Medium Adult food from the Royal Canin line, and Boca was more than happy to pose with a bag! This food contains antioxidants, prebiotics, and Omega-3s which support healthy skin, coat and joints. 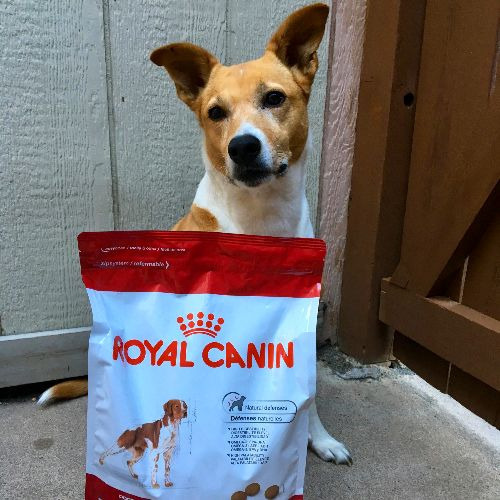 Dr. Sprinkle said this would be a good, well-rounded diet for Boca since her hardy mix of breeds was not particularly prone to genetic issues. 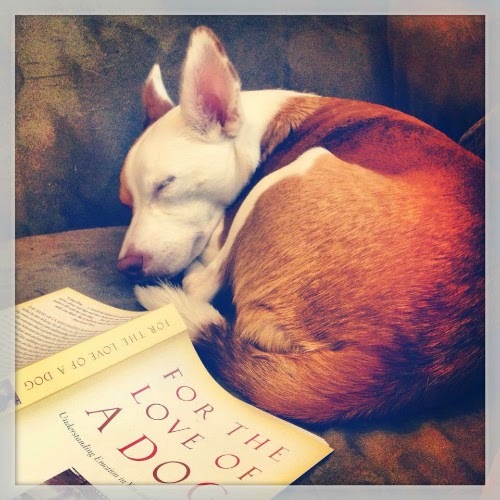 This medium-sized kibble would meet Boca's energy needs and promote overall general well-being. 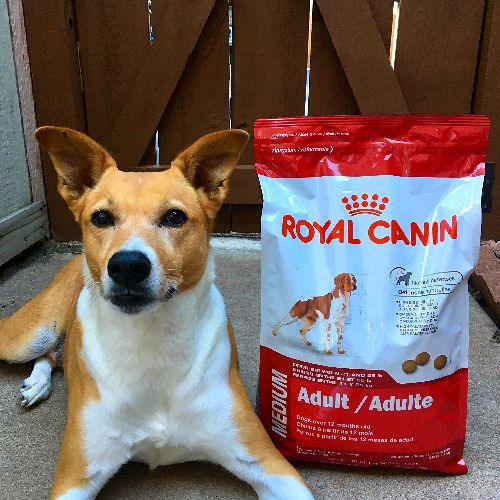 As Boca gets older she did suggest we pay attention to kidney and dental health, as Royal Canin offers a prescription dental diet that helps to reduce tartar. My little kitty was on the Royal Canin prescription renal diet for several years and it definitely kept her healthy through her late teens. It was interesting to see that Boca's ancestry was as mixed as you'd expect for a mutt from the streets of The Bahamas, and to learn about the ways her diet could be adjusted to suit the nutritional needs of my sport-herding-island-terrier! Stay tuned for more DNA fun as I re-test both Ginger Sisters to compare results! 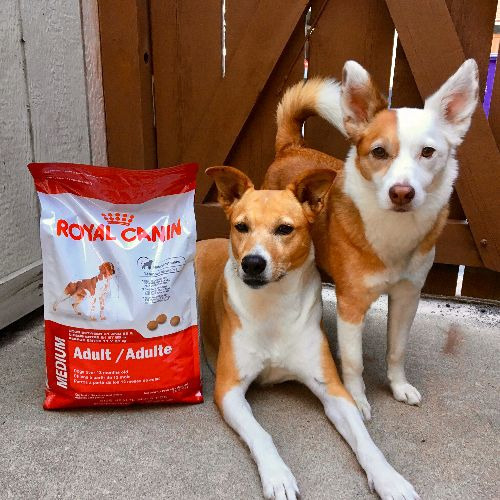 So, Miss Potcake comes from a mixed bag of highly intelligent and responsive breeds (and I'm sure basenji is in there somewhere!). That terrier component - hard to correlate with her unfeisty temperament. We look forward to the next set of results. I say she is Miss Practically Perfect Potcake.